20 years back Father Thomas Kochery and Harekrishna Debnath, leaders of small and traditional fishing communities of India, convened a conference of fish workers of the world. The conference, on 21st November 1997, gave birth to the World Forum for Fisher People (WFFP). 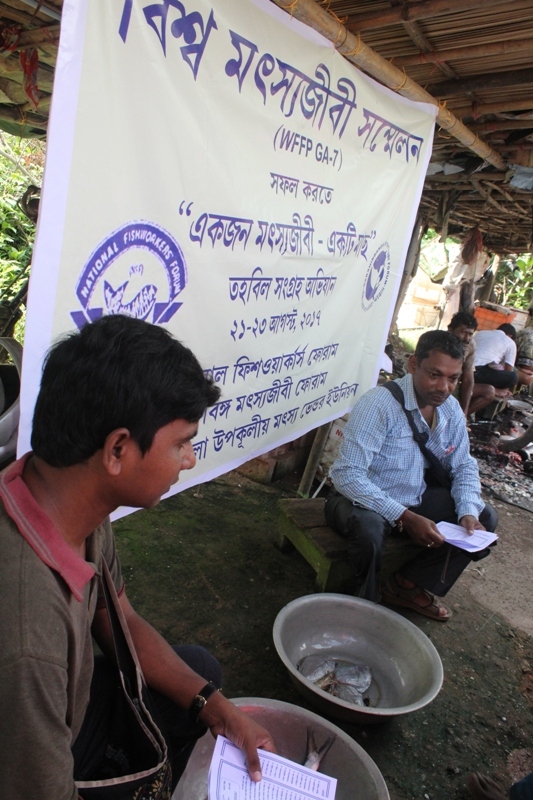 This year, from 15th to 21st November WFFP is scheduled to hold its Seventh General Assembly (GA-7) at Delhi hosted by National Fishworkers' Forum (NFF). 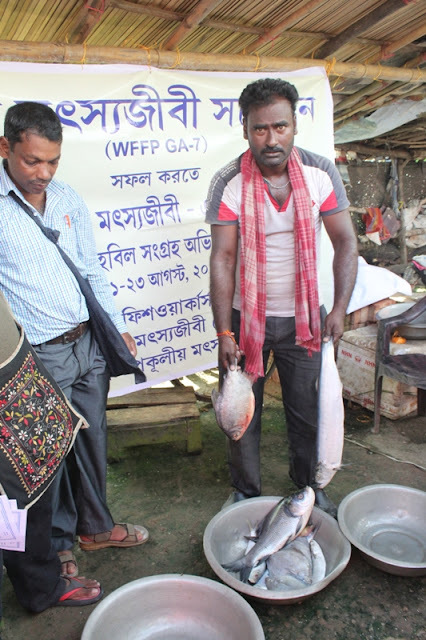 NFF has called upon all its affiliate organisations and the small and traditional fish workers at large to donate as much as they can to support the programme. 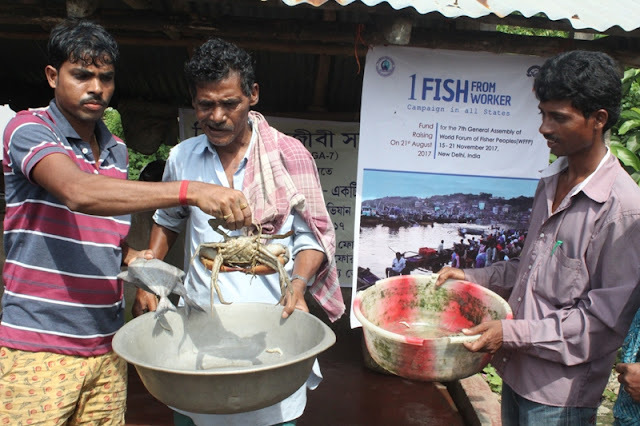 To take forward this as a mass initiative NFF has announced 'One Fish from One Fish Worker' campaign on and from 21st August 2017. The campaign involves self-respect and confidence of the fishing communities of our country in supporting the world summit of fisher people. 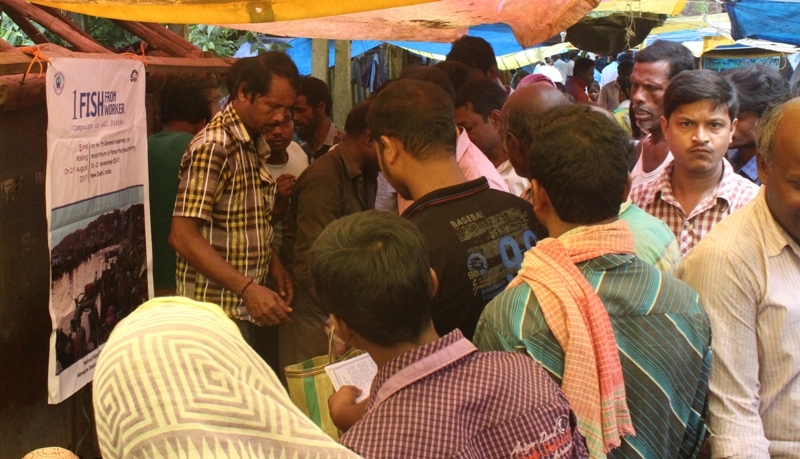 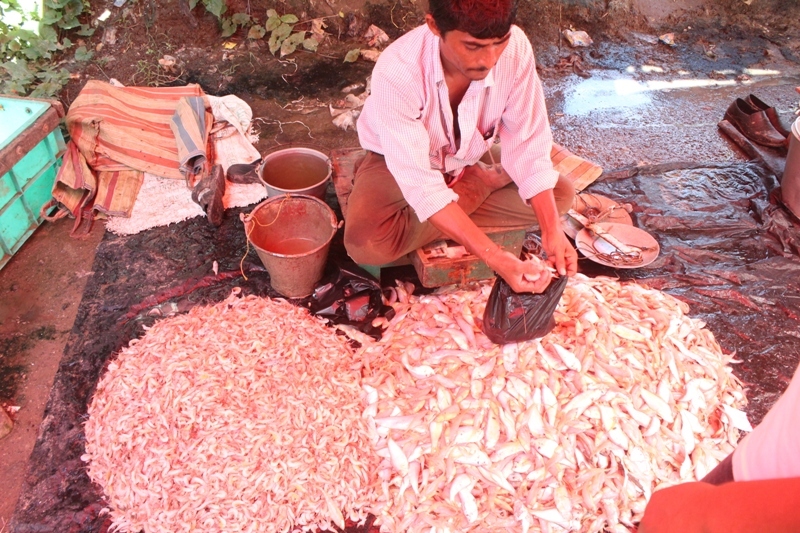 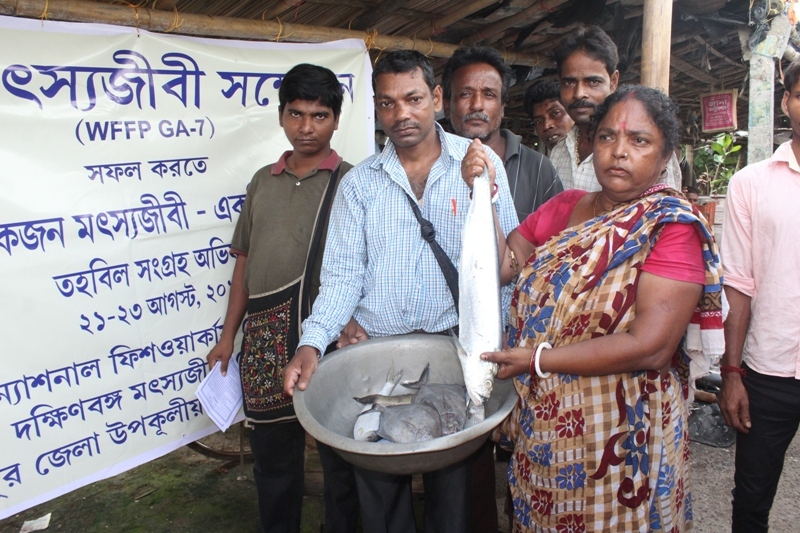 Dakshinbanga Matsyajibi Forum (DMF) and Medinipur Zila Upokulya Matsya Vendor Union (Midnapore District Coastal Fish Vendor Union) have initiated this mass fish collection campaign in West Bengal. 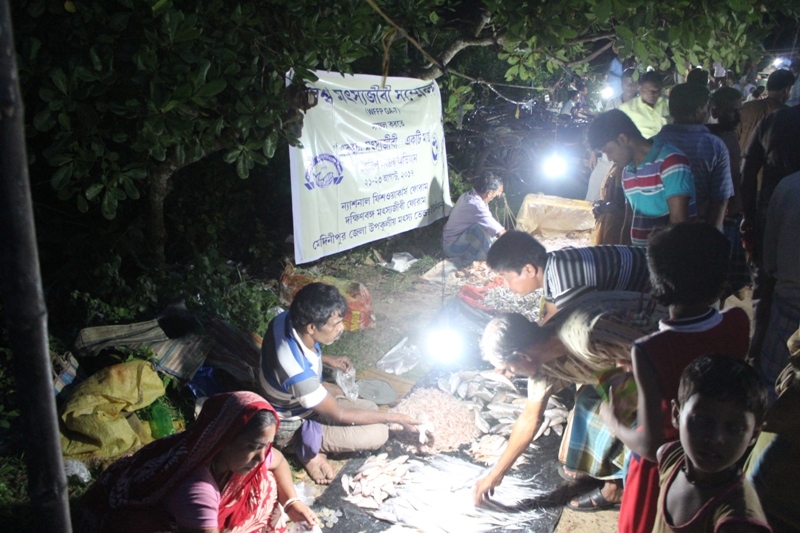 With remarkable enthusiasm and effort, the fish workers are taking the campaign forward to a resounding success.